To be in possession of an illegal drug the person must have ownership or control over the drug. A person must also have illicit knowledge of the presence of the drug – otherwise anyone could be charged with Possession if the drugs were found nearby. A person can have actual possession meaning that the drugs are found on their person such as in their pockets. A person can have constructive possession in which case the State must prove that the person had dominion and control over the drug. In a constructive possession case the drugs are usually in a place where the person may have control over such as a car they are driving or a residence where they live. The State must prove that ownership and control beyond a reasonable doubt. 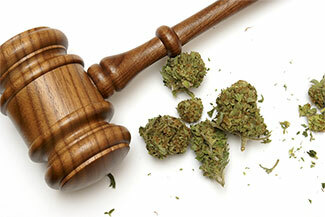 In other situations there may be joint possession of drugs or joint constructive possession. The problem for the State in a joint constructive possession case is that other persons may have the same control over the same common area. Consequently, if drugs are found in a home in which several people live or in a car occupied by several persons it will be difficult to attribute the drugs to just one person unless someone confessed that the drugs were theirs. In this situation the charges against you may be subject to being dismissed. Contact our office as soon as possible if you have been charged with drug possession. While Possession of Marijuana weighing less than 20 grams and Possession of Drug Paraphernalia (pipes, rolling papers, bongs, weigh scales) are misdemeanors, most other types of drug possession cases are felonies. Types of drugs classified as felonies which are illegal to possess include cocaine, LSD, heroin, methamphetamine, GHB, certain club drugs, and in certain instances prescription drugs where there is no proof of prescription. Any felony or misdemeanor which appears on your record, a job or college application, could have adverse consequences for your future. Our objective is to get you the best possible disposition or result so that you can maintain a clean record and not spend any time in jail. Dismissal of the charges if the evidence does not support the charge against you or if the police conducted an illegal search and seizure of your person, belongings, vehicle or residence. Requesting that the court withhold adjudication of guilt so that you are not classified as a convicted felon losing valuable civil rights and job opportunities. Referral to drug treatment programs in lieu of going to prison for persons who have recognized that they have a severe drug problem. Our office can have you evaluated privately and by the court system to find out which program meets your specific situation and addiction. Possible dismissal of all criminal charges brought against you if you are referred to certain court operated drug treatment programs and you successfully complete those programs. Police and prosecutors have considerable resources and increasing leeway to intrude on your rights in the “War on Drugs.” Contact Ray Lopez to aggressively respond to the charges and secure the best possible outcome. You can call us day or night at (813) 221-4455 for a free consultation. Se Habla Español. As a former State Prosecutor and Tampa Police Department lawyer Ray Lopez is uniquely qualified to protect your constitutional rights and fight for your freedom. Drug charges can carry minimum mandatory prison sentences depending on the amount involved. It is important that you select an attorney who understands the way the police think. Contact Ray Lopez now at (813) 221-4455 for a free consultation. Se Habla Español. A Federal Court in Florida has declared the Florida Drug Statute unconstitutional. Your drug case may be subject to being dismissed or overturned.